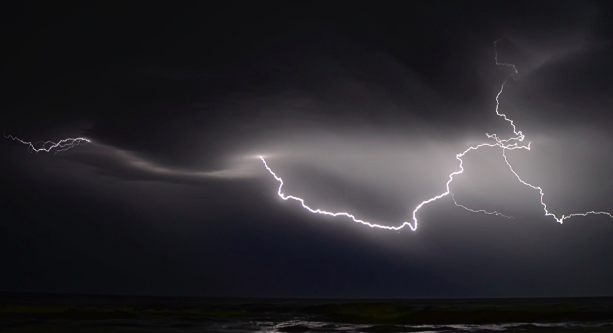 Weathering the Storm: Are Your Clients Prepared for Natural Disasters? MSPs can help their clients survive natural disasters with the right backup and data recovery offerings and business continuity strategy. The 2018 hurricane season began dramatically, with Hurricane Florence, a massive storm, bearing down on the East Coast of the United States. While residents either evacuated or secured their homes against the storm, tech companies also prepared. Microsoft, IBM, Google Cloud, Apple, Amazon and others all have data centers and other assets that were in Florence’s path. MSPs frequently talk to clients about the value of data backup and protection in the context of technical failures, power outages and cyber-attacks. For clients in certain regions, though, data protection takes on a new dimension as natural disasters threaten their physical facilities. In some cases, your clients may not take the threat seriously. When Hurricane Sandy hammered and flooded the East Coast in 2012, two “carrier hotels” that serve as major U.S. network hubs in lower Manhattan were caught unprepared and had to operate on generator power. According to an article about the aftermath in Computerworld, service providers in the region struggled for weeks to help clients with data recovery after stormwater and power spikes damaged their servers. And, even if the servers survive, damage to environmental control systems during a weather event can lead to equipment failures weeks and months later. When these weather events happen, everyone needs to be prepared. Otherwise, the recovery work afterward will be much more difficult and expensive. Despite the risks of not having a reliable backup solution in place, many companies still do not take the proper precautions. According to a Barracuda survey, 66 percent of Office 365 users rely on the recycle bin for backup. Even more alarming, 81.2 percent of respondents said they did not test their data protection strategies more than once per year, and half of that number didn’t test them at all. When talking to clients, MSPs should emphasize the importance of backup and disaster recovery when it comes to business continuity. When servers go down, and data and applications are unavailable, customers’ businesses grind to a halt. They may lose sales. The costs begin compounding immediately. Make sure you have a complete inventory of your clients’ systems, software, services, and operations. You can’t protect what you don’t know exists. Off-site storage is a must, particularly for clients in high-risk zones. Data and applications should be backed up or replicated using an off-site facility or cloud-based resources. Years ago, the rule of thumb was to have data backed up in a facility at least 10 miles away. But, that is not far enough, given the intensity of storm systems over the past decade. The cloud makes it possible to back up data hundreds or thousands of miles away. A good standard to follow today is the 3-2-1 rule: Have at least three independent copies of your data; store the copies on two different types of media; and, keep one backup copy offsite. Help your clients develop a complete disaster recovery plan. If there’s an event, identify which employees at which facilities are responsible for ensuring the safety of staff, equipment and data, and that each of those stakeholders knows what to do in an emergency. Likewise, if a data center goes down, there should be a contingency plan in place to ensure a smooth switchover to other computing resources. Test your customers’ BCDR plan multiple times per year and make sure data can be restored quickly. Additionally, clients should run drills to test their internal communication and response procedures. For facilities in at-risk areas (like coastal regions or areas prone to wildfires or tornadoes), make sure there are ample supplies available so that data center staff can protect equipment against common threats, that checks are in place to make sure generator tanks are full and operational, and that there are evacuation plans in place to ensure employee safety. If your staff winds up stranded inside the facility during a disaster, you may also want to consider stocking up on food, cots, satellite phones and other amenities. Whether you are leveraging cloud resources or physical data centers as part of the backup and recovery strategy, make sure you know what contingency plans those providers have in place. If your backup servers are in Houston, and Houston happens to be underwater, you should look into how those facilities plan to stay operational. With cloud-based or off-site backups in place, your clients won’t have to worry about business continuity–they can continue to operate remotely even in the midst of a disaster. There won’t be last-minute scrambling to haul servers to the top floor. The physical hardware can be replaced (that’s what insurance is for); the data and applications that keep your business running can exist anywhere. Without having to worry about their physical infrastructures, your clients can focus their energy on another valuable resource–their employees, and getting them out of harm’s way when a natural disaster strikes.